Abrams Squad: The Modern Modelling Magazine is the FIRST magazine in the world devoted to Modern Warfare modelling. Here you will find the best articles of the best modellers and writers in the world. Step by step articles, painting techniques, building techniques, illustrated reports, news, reviews, videogames and much more. 4 – MODELLING MODERN TANKS – Chris Jerrett explains his passion for Modern Tanks. He is already part of the Abrams Squad, and you? Join the Squad! 6 – Commander’s Display Unit: A regular section devoted to news and reviews of model kits, aftermarkets, books and much more. 8 – Remote Thermal Sight: We’ll review in depth one new kit in every issue comparing it with real pictures. 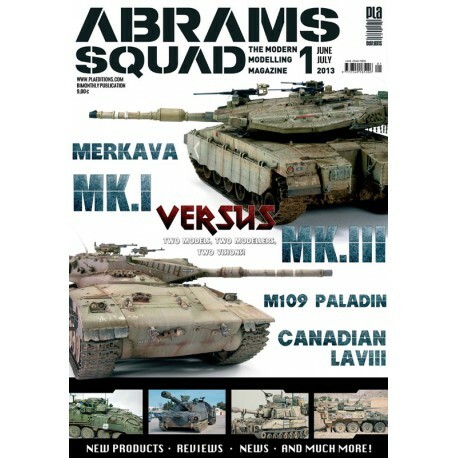 In this first issue we analyze the AFV Club M-109-A2. 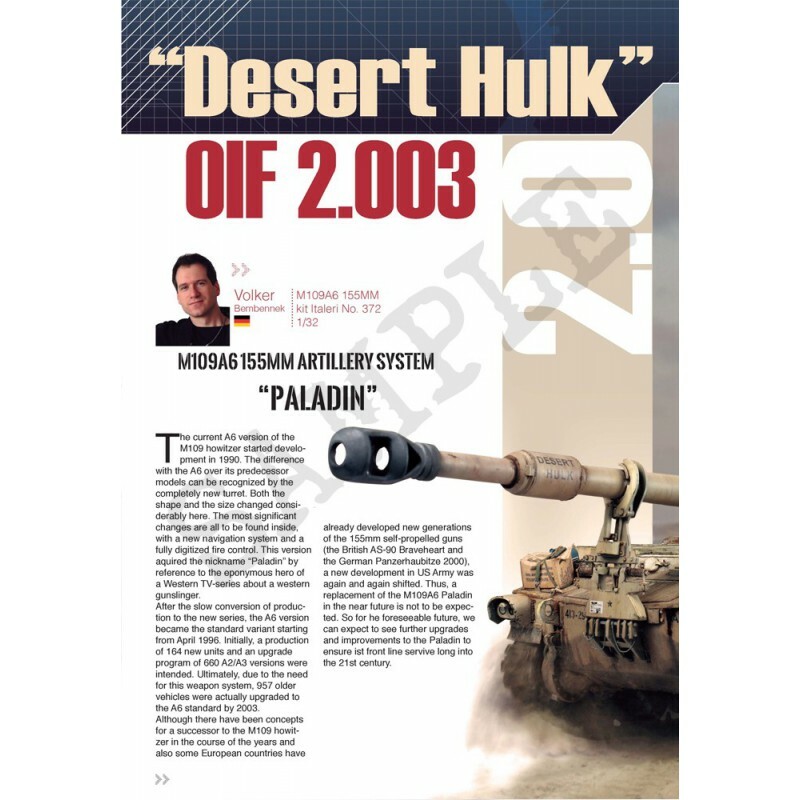 14 – DESERT HULK, OIF 2003 – Volker Bembennek shows us with a great step by step article how to build this giant M109A6 Paladin. 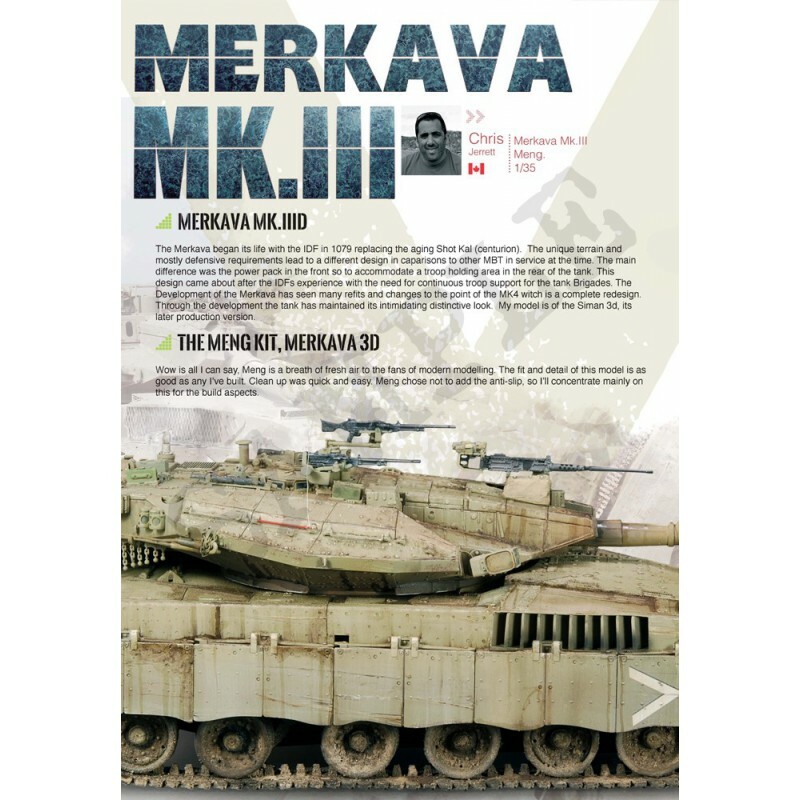 30 – MERKAVA Mk.I VERSUS Mk.III – Introduction of the Merkava MBT. Which version do you prefer? 32 – MERKAVA Mk.I – Rubén González faces an old model kit from Tamiya. The results are amazing! 39 – Pixeled Tanks: We know that you like modern tanks even if they are in the screen. Here we review war video-games for you! 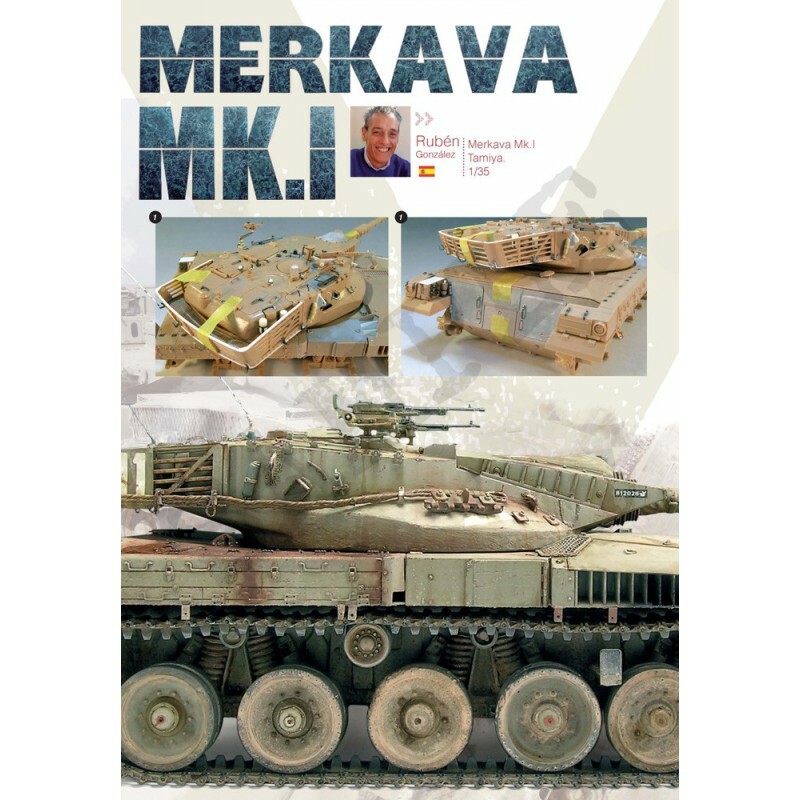 42 – MERKAVA Mk.III – Chris Jerrett needs to fight with a hi-tech model kit and we can see how much he enjoyed it. 50 – Canadian LAVIII – Aleksandr Urusov is not satisfied with painting well, he also needs to make an extreme detail in their models. A real jewel! ! 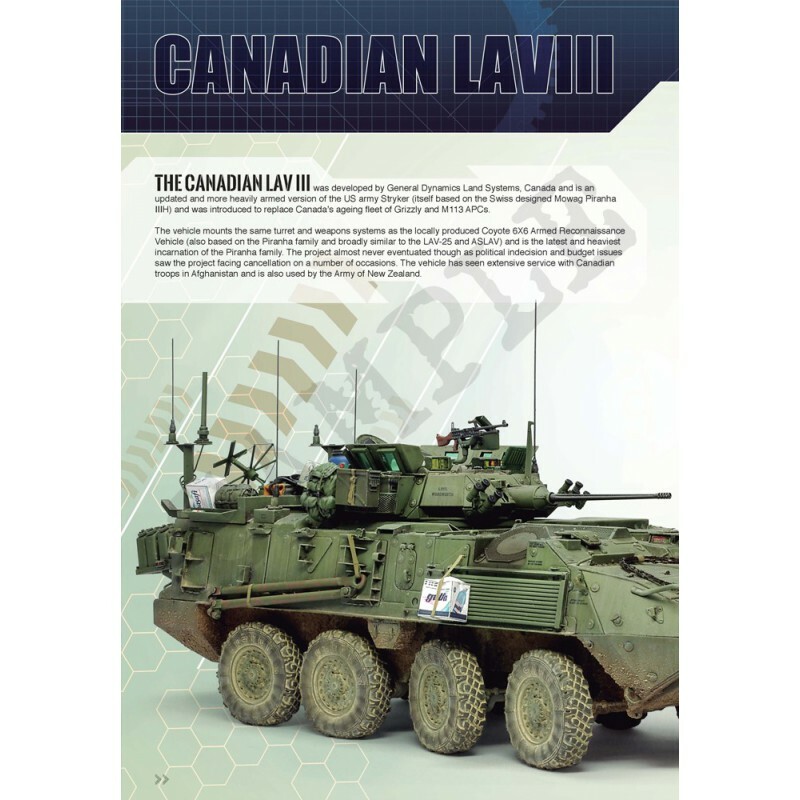 58 - LAVIII – Anthony Sewards tells us the history of this great Canadian AFV. Relevant information for the modeller and inspiring pictures. 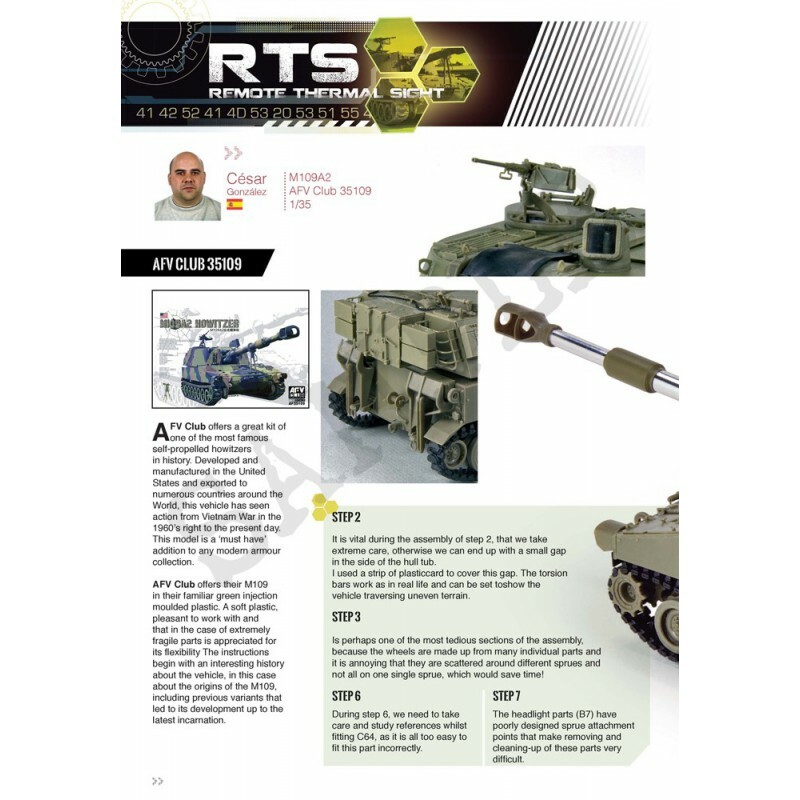 64 – Turret Basket: at the end of every issue you’ll find the kits that we’ll find in the market soon and some teasers of the next Abrams Squad Magazine.